Right, time to pull down the shutters on the poll that’s been running here on the site for the last number of days on our Player of the League. Close on a thousand votes were cast in this poll – not the highest turnout ever recorded hereabouts, though up there close to the top nonetheless – but the outcome was never in any doubt. David Clarke wins the award, having garnered 64% support in the poll. Tom Parsons is next on 16%, followed by newcomer Fergal Boland with 10%. The full result is illustrated below. David came into this League campaign with all the controversy about the goalkeeping selection last October still in the air. Despite this, he put his shoulder to the wheel from the off and put in a succession of top-drawer performances between the sticks, underlying his newly-minted All-Star status. You can say what you like about his restarts – and I’ve had my say on that issue too – but what’s beyond doubt is that, but for the big Stephenites man, we’d have Division Two football to look forward to next spring. Well done to David on a fully deserved award. Some way to answer the disaster of October. Speaks volumes about him. On another note, can I ask what players have been let go from the panel, according to the Mayo News? (If that’s ok, WJ). Don’t live in the county and I’m just interested! David is also the only Mayo player picked on the best players team in this year’s league in today’s Indo. Well done, David! Not sure if this mantle means anything. When a goalkeeper keeps winning the awards doesn’t bode well for the men in front of him. Best part of the league for me has been the emergence of Boland and Kirby what part they will play in the championship who knows but some of their displays showed a lot of promise. Shane Nally and Coen also showed that they have something to offer. They manager doesn’t throw minutes around to oftenn Douglas Irwin has come and gone without much of a chance. Gallagher was brought into the panel and hasnt made a match day panel as yet. Maybe this manager prefers to judge players on the training pitch or behind close door friendies who knows. The fact that the manager showed faith in Boland and Kirby bodes well for them. One of the players that most excites me is Reape. Hasn’t played much thus far but He has goals in him no matter what level he has played at. Looking forward to the summer. I don’t say this to often, congrats to the kingdom for taking the dubs. This needed to be done in a big way. Congrats to David a great Mayo player and a gentleman to boot. He has always shown great ambitions to be our number one. So many posters trying to write him off prematurly and bring in the darkness around us. A winner always knows how to respond to the negativity and David is a born winner. Jason Gibbons, Michael plunkett, Ger mcdonagh, Owen Reilly, Rory Byrne, Michael Hall, Neil Douglas and Ray Omalley have all been released back to there clubs. Neil Douglas scored 9 points for Castlebar at weekend including 3 45s. Barry Moran and Alan Dillon are still part of the panel for Connacht championship. Not that surprised with those names to be released. With the exception of Gibbons, the rest saw barely any game time in the league. Gibbons to be fair to him isn’t blessed with pace, and with Tom back and Seamie there also, he was always going to be down the pecking order. Kirby has a bit more versatility as he can play in the forwards, but I’m not sure he has the steel needed for intercounty. I’ll need to see more from him before I’m convinced – to his credit he has scored a number of points for us in the league. Douglas to be fair to him seems to be great at club level, but haven’t really seen him at county level. He seems to be desperately unfortunate when it comes to injuries interfering with his prospects for a county Jersey. Plunkett and Hall I think we’ll see more of next year. Ray O’Malley I’ve only seen play against Roscommon in Kiltoom this year and he didn’t fare too well that day. I don’t recall ever seeing Reilly or Byrne play, though I’ve been to a number of games this year. That might be a symptom of how little they played or how little they impressed me. It can’t be easy for these lads being told they are surplus, nor can it be easy to deliver the message either. I do have faith in Rochford, he knows more about football than I do, and certainly knows better what he needs from the players for them to cut it. 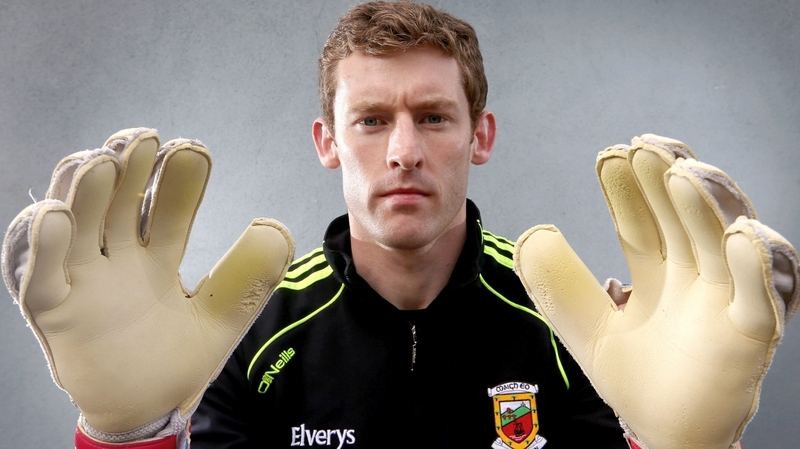 It is a pity we did not see Mc Donagh & Douglas play a bit as well as Byrne–have we a third goalie on our panel? Mmmm. Not so sure about those cullings. Plunkett looked very sharp in the game agains the Rossies. Douglas hasn’t been tried, nor have the others. I wish I could say that, regarding the panel and game time we are in a better place than last year, but I can’t honestly do that. Last year I was quite happy on that front at this stage. No JR just Clarke and Hennelly. I absolutely agree with David as Mayo’s player of the league.Tough as nails,a leader.Commands his area with authority,keeps the full back line on it’s toes.He is like a 2nd full back,any high ball going into his patch,he is going to clean them out,man and ball. It was criminal what happened to Clarke last october,I dont care what anyone says,it cost Mayo an All Ireland. Congrats to our own Anne Marie on an excellent article on today’s Mayo News eloquently reflecting the view of a number of posters on this site. Great pair of hands! Well done David but if we had you back in the womb we’de surely try to make a full forward out of you!! However, you do mighty good filling in at full back as well! A nice picture of football things of 60s/70s by Jimmy Keaveney on Eirsport. How the scene has changed with time is interesting to have recalled and Jimmy does it very well…. nice jolly references to his wife’s and family’s attitudes to his footballing/hurling/soccer involvements, not all with Vincent’s! Reference to twice around the field training in parnells in sixties …..phew! and then appearance of K Heffernan in ’74 and Jummys return! What a shock to the system! Dubs were ordinary he says but gradually there was a transformation. I rem seeing them play Wex in first round of c’ship as curtain raiser to replay of league final between Kerry and Roscommon in ’74. I remember looking on it as a v poor junior standard. Then I watched in Hammersmith cinema this same team a few months later beat Galway in All Ireland.It was an eye opener indeed and the beginning of the Dubs as a real force. That same day Mayo contested the minor v Cork with another Jimmy on board….Burke, at ff. We didn’t win but the craic was good in Hammersmith and thereabouts! I think the best possible players at our disposal at this point in time are in the panel. All we can do is push forward. Interesting few months ahead and I know we have been saying it for a while but for a few players it is last chance saloon this summer. The Mayo News has some very interesting statistics from our league campaign – showng that, overall, our players had 93 scores from 193 shots – a conversion rate of only 48 per cent. Cillian struggled by his own high standards – scoring 34 times (2-32) from 58 shots at goal – a conversion rate of 59 per cent. Midfielders Danny Kirby had 1 100 per cent record (five out of five) and Tom Parsons had a conversion rate of 80 per cent (four points out of five attempts), followed by Kevin McLoughlin (53 per cent) and Andy Moran (53 per cent). Can I again suggest we need a forwards coach – Ciaran McDonald immediately springs to mind. Look at how the Dubs’ scores have increased since they took Jason Sherlock on board. The decision to drop Clarke last year cost us All Ireland. What happens if he gets injured or sent off this year. Well done Anne Marie on your column.It is one thing for posters on this site or others calling out Dublin but it is more advantageous if the Co.Board or manager does it and is called on to do it.I firmly believe Rochford should have done it last year but I accept others may feel differently.I think a la Fitzmaurice we need to be more streetwise on these issues. Irony is of course that Kerry are well able to use the media themselves. Yew tree…that’s telling it as it is sure enough. There’s no backing down now ….this is it! 100% onslaught on the target and may the best team win.I’d like to think of the upcoming year as the year Mayo Spartans stood shoulder to shoulder in the pass of Thermopylae and with a remarkable defence, to the last man, won an eventual and historic victory against an enormous force of those nasty Persians.There was a great leader then called Leonidas and I’m wondering which of our boys will step forward to lift his shield from the bloody ground…. Aeonidas? Last year is gone and we all need to look forward to this years championship. David Clarke was very good in the matches that I saw in the league. One thing we all know for sure is that Dublin are beatable, Monaghan should have beaten them two weeks ago, but instead of attacking in the last 15 minutes they decided to defend, thereby inviting Dublin to attack at will.I fear Mayo lack the pace up front to match Kerry ( probably in the semi final ). We dont score enough from the break up the pitch, as I mentioned two months ago on this blog, too reliant on free kicks from COC, and even then some of those don’t go over the bar. The high ball into Aidan O Shea and Andy Moran in the All Ireland was stupid, very easy to defend against. Kerry proved that the quick ball is the way to go with guys running at pace to make and take the pass. It’s not surprising to me that is was Kerry that came up with the formula to down the Dubs, clever players and a very clever manager. On the point of goalie kick outs, this is probably the key in winning big matches. The day of the 50 / 50 high ball between two midfielders is long gone, even at under age level here in Dublin. Droppping Clarke did not cost us winning the all Ireland last year! Clarke had a disastrous ten minute spell towards end of the ist game where his kick outs went astray and this is the reason why he was replaced for replay! The failure to kick on after Keegans goal cost us. When you lead for ten minutes over the two games that’s where our problem was! Failure to take and create scoring chances on the biggest day has bring our Achilles heel! 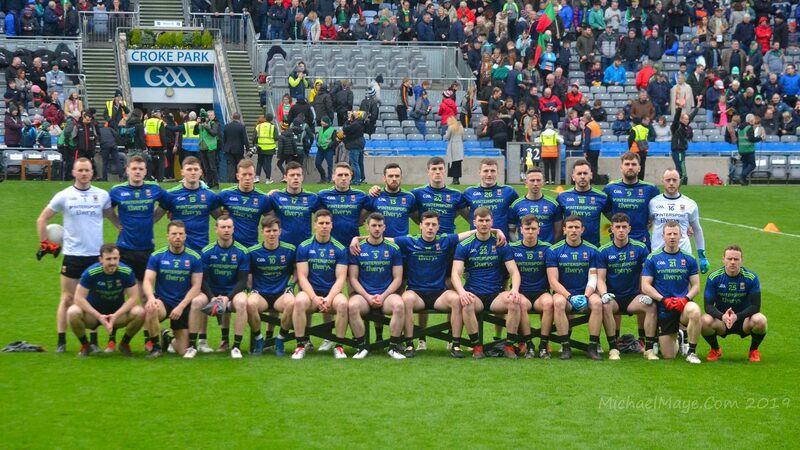 For those concerned about our ability to beat the great Kerry in the championship, it would be wiser to limit our focus right now to the challenges that our Connacht neighbours will pose. Hopefully our management and players are thinking about little else than fitness, the fine tuning of our defensive system, transition to attack, our issues in our full forward line and our game plan to defeat Sligo. The future is not going to be guys like Gibbons and Freeman. They have’nt shown the consistency. Gibbins isn’t quick enough or strong enough in the tackle. We always seem behind the curve when it comes to athleticism and selecting players based on it. We are the team that selected underage sprinter Aidan Kilcoyne in the stamina position of half forward rather than at corner forward in 2011. Then we cut him at age 26 despite him scoring fine that spring. You can’t stamina or fitness your way to an All Ireland. You need natural born with it burning pace as well in a few positions. Dropping Clarke did not cost us an All Ireland. It suits some people to to use this as an excuse or something else. Our transitions from defense to attach was not fast enough or slick enough to catch out a very fast and mobile Dublin team. Our defense held out for long periods, but we had problems moving forward. I believe that there small signs that this is changing for the better. We did not match Dublin with their experienced subs coming in with 20 minutes to go. Their pace and experience was the factor that pushed them over the line when the result was in the mix. Just build yourself a bridge and get over it. The only Castlebar player I was interested in seeing get to the Panel was Beirne. Fair play to Kirby though it would appear he has shown up enough and I hope he makes it. I believe Michael Plunkett has a great future ahead of him. I would expect to see him back pushing for a place real soon. I believe the door is open to the others too, but ambition has to come first, and some have other priorities at this point in time. Im sorry now but I have to draw the line and take acception to some posters on here saying David Clarke cost us the all ireland. Hennelly cost us 1-04 with his flappin and his kick outs, and we lost the all ireland by a point. Im also disappointed with the management for not going with another sub keeper on the squad, as hennelly has proved time and time again to bottle it on big days. Wake up and smell the coffee ladies and gentlemen,the dropping of David was f**king brain dead,I can not put it any stronger than that. Look?Lets get over Galway in Pearse Stadium before we think about Kerry and Dublin,believe me ,those Galway bucks are going to fancy it and to be totally honest I make it an even money game. Over two match’s, in last year’s All Ireland final, Mayo were beaten by a single point. We did make mistakes, and those mistakes are what cost us the All Ireland title, including David Clarke mistakes, it’s human nature to blame individuals, Hennelly’s mistakes, two own goals mistakes, lack of concentration by SOS that led to own goal mistakes, sidelines mistakes, referee mistakes! loads of really great play in between mistakes,.. By a mile the two best match’s Mayo had played for over two years.. The thing about the mistakes is that the outcome of the match, decides whether you remember the mistakes or not… I can easily remember last Sunday and thinking that Jim Gavin made serious mistakes on the sidelines, leaving on Bernard Brogan and Paddy Andrews for much too long, for the life of me, I seriously can’t remember Jim Gavin ever making such errors on the sidelines in as long as he has been in charge of Dublin.. . The thing about last year was that we were lucky, in that the five match’s Mayo played after been beaten by Galway, got us to the All Ireland final..for the most part during these matchs, we were ordinary and constantly making mistakes, the reason we won those match’s was that our opponents were pretty ordinary as well and made plenty of mistakes themselves.. . Only one match was exceptional, in that we made very very few mistakes, we didn’t play particularly well, but compared to our opponents on the day, we made almost no mistakes. The match I refer to is the quater final versus Tyrone.. The serious mistakes made by Mickey Harte and Tyrone made cost them on the day… On almost any other occasion, the possession and chances that Tyrone had should have seen them win the match… Wat would get us to the Holy Grail is to play as well as we did against Dublin in the All Ireland final and keep the mistakes down to the minimum like we did against Tyrone. It’s a simple thing to write down, much harder to achieve. Great comment leantimes, completely agree..
Leantimes I suppose you can define the whole universe and all that moves in it as a series of mistakes. A mistake is caused by looking backwards with a pointing finger and armed with the benifit of hindsight. When it comes to a team sport I believe it amounts to a lazy analysis. Gavin made mistakes well of course he did. It’s called being a human being. Even with all the resourcing they have at their disposal. When you are tasked with fixing our game then you need to look at transitions, timing, efficiently using possession, ball winning, and defending above all else. Leantimes great post. No one error or moment costs you an All Ireland. It is a cumulative series of events…..just like an aircraft crashing. Fans like to pick one error or an individual to blame and I am guilty of that myself. We are where we are. The only thing can could really make me angry is seeing a Mayo team not trying or going through the motions. I don’t think any of us can be angry at this particular group of Mayo players. Think of all they have put in and been through since 201. We are entering the winter period in this particular team’s life cycle….it’s time to break through the storm ahead and finally lay the ghosts of the past to rest. Switching topic. It will be interesting to follow Donegal – Dublin this weekend in the U21. I would have Donegal as the favourites for that. Donegal played an U21 team in the McKenna cup. Maybe there are some learnings to be had from that. What harm that we tog an U20 team next year to at least get some competitive game time into their legs, at least in the games against the Colleges anyways. Bear in mind that U22 Ciaran Thompson scored 16 points from play in the league from half forward/midfield!!. It shows how lightweight a lot of the GAA analysis is that all the commentators had Donegal pegged to decline for a few years based on a few retirments of older players who were mainly bit part players last year (MacNiallais/McGee excepted). I can’t believe people are still cribbing about the goal keeper change and saying it cost us an All Ireland. For the last time: there should never have been a replay in the first place. We had Dublin on the ropes all day in the first match, held them scoreless for nearly a half an hour and still couldn’t close it out. Rochford had timed it perfectly and we came into that match nearly under the radar. It was set up perfectly for an ambush and we should have won the All-Ireland there and then before there was any whinging about goalkeepers. Hold the 15 players on the pitch that day in September responsible for why Mayo aren’t All-Ireland champions now because ultimately everything aligned perfectly for them and they couldn’t finish it. And by the way, that inability to stick the knife in when it matters is another issue you can add to the list of Mayo issues. It’s never going to be October that hurts for me – it’s September. I knew directly after that match that they’d let it slip. It didn’t matter what happened in October. September was the time to win it and they blew it. Appreciate so much what’s being said and even more so the way things are being put…the expression! One sure thing about this team is that we know what it is capable of, given the mistakes, the lack of golden boots up front, the question of full back position and the true quality of the line incl Mr Rochford. The greatest asset we have heading into this year is the conviction that our backs will be against the wall at every turn. No other team in the country will have such an advantage and with a slight extra scoring bite a possibility, our prospects are as bright as ever they were. anyone have a link to the News article about the players being released back to their clubs?. Those of you dissapointed in M Plunkett not making the squad I have to say i was dissapointed in him on his only appearance in league against Rosscommon he didnt get involved in that game when he came on he missed a decent goal chance and didnt touch the ball after he also looked out of condition compared to other players ahead of him….There are only so many places in squad so no need to be critics of management decisions so soon….I have to say im in total agreement of their personell changes and squad aditions so far…. @Freespoon, yer being a bit ridiculous there with your points regarding Michael Plunkett. 1. He came on in the 60th minute with the game winding down as Mayo were comfortable. 2. He got tow balls as I recall. His breakthrough on goal which at least he kept on target. He won a breaking ball near the sideline and had to scrum half divind handpass it out of contact which he did accurately. 3. He’s a shorter limbed guy and he has bulked up. With the new jerseys people have commented it makes the players look a little out of shape when of course they are lean. You or I have no knowledge of who is or isn’t bursting a gut. Michael Plunkett for what it’s worth isn’t the most athletic guy in terms of raw speed, size or strength so I imagine he has had to work very hard to make it to the fringes of the Mayo senior team. Stats out today for mayo league home games from 2011 to 2017 played 25 home games won 11 drew 2 lost 12. Dreamy…., couldnt agree more, All Ireland was lost the first day, everything went Mayos way even the weather but we couldnt finish it out. Its a collective responsibility of all involved that day, not down to a single individual. Of the players released back to their clubs, Douglas is the only one whom id have hoped would have been kept on, I think he has a lot to offer and personally id rate him higher than Regan, but Stephen has watched all of them in training and has judged who he needs to continue with. Interesting to see how Adam Gallagher gets on, a very talented player who can make a difference. JP ….I was dissapointed he was right in front of me and when he came on i expected a lot more as the rest of the subs that day came in and made a real difference Loftus looked really energised when he came on and scored 2 points….SR must have agreed with me as Michael wasnt picked after that…..
Freespoon…, I would disagree with your insinuation, however worded, that some pyoung players are not bursting a gut to get on the team. It takes an extreme amount of hard work and dedication to get to the stage where you can be even considered for the senior panel let alone get onto the field. Also a young player shpuld not be judged after only a few mins of one game. MacHale Park has become a conundrum for Mayo in recent years. No longer a fortress (was it ever?) I think this Mayo team prefer and feel more at home in Croke Park. When you see what they are doing with other stadiums around the country like Pairc Ui Chaoimh I shake my head at our super stand with 1980 style poles. The position of the stadium also means sitting in the stand does not guarantee keeping dry. A forward thinker would have flipped the stadium and build two smaller stands each side of a newly positioned pitch so as to not mae the MacHale Rd residents angry. There is plenty of space. In a country where it rains every week of the year the fact so many of our stadiums have uncovered terraces is so Irish. Anyway rant over. show enough to justify a place in the squad for the championship…..When you get a chance you have to take it with both hands make management and supporters take note of you for future games…. Freespoon.., I would agree that only the best of our young talent will make it onto the panel, just pointing out that suggesting Plunket or any other young player didnt get on the panel beacuse they are not “bursting a gut” is an unfair comment. While playing games is important, its what the manager sees day in day out on the training field which ultimately decides who will make the panel, eg Douglas played only a couple of mins v Cavan (not enough to make an impression). Reape has yet to feature in league or Championship but is part of the panel. Caolan Crowe I think is still arould the panel but hasnt featured this year. A few min in one game is not enough to make a judgement on a player and its not what Rochford would make his final assessments on. Aside: A Kerry friend of mine reckons if Kerry and Donegal u-21’s come through their respective semi finals, the final could be in Castlebar. Freespoonwitheverytub – I’d tend to agree with those who aren’t happy with that remark you made about the younger players so I’ve deleted the offending bit from it. Agree with all written there esp the climatological assessment of McHale park by Yew Twee. Does it not surprise people that we have not more of the u-21s putting up there hands for places on the senior team? Could it possibly have something to do with the true nature of that team. IMO there was good heart there , never say die attitude, had a couple of good scores through their games but you could say as well that there was a fair deal of opportunism present in their make up. Could you say that there were not that many outstanding individuals among them and if you could then that might explain the why! Management should know better than most what’s goin down in that regard. Yew_Tree That really would be something if it comes to Castlebar. Do not forget the Galway and Dublin lads have a big say in it yet. This time last year we were the outsiders with almost everyone else fancied ahead of us. Dublin and Kerry to the fore with Mayo starting with the “also running” chasing pack. The final is in Salthill if it is Donegal v Kerry. That is already fixed. Don’t be expecting too much from our U21 winning team of last year. We already have a trio of players who are making an impact at the top level. That’s pretty good return at this stage. The other thing is they beat what was before them. No downgrading criticism is required. A small group of talented players who just went for the big one and left the big stars in their wake. Mayomad said there was a list of players released back. Can anyone put up the names here? I’d greatly appreciate it. As regards the u-21’s people forget the amount of good quality players we got from the 2006 winning team was abnormal. the fact we have three from last years wining team already established is a good return and hopefully another 3/4 can progress in the coming years. Disappointed to see Neil Douglas leave the panel again. I’m at a fair distance from the mechanics of the Mayo set up and don’t know the man in question at all but I struggle to accept that such a highly successful club player falls short of even a spot on the panel? We’ve all seen an appreciate his point scoring ability. He’s also extremely mobile. Maybe it’s a mutual consent thing or something else altogether but I’m still scratching me head. Again!! Also, I still think Jason is better to be part of the panel than not. Either way, good luck and thanks to all the lads that won’t be playing county come the summer. To Freespoon , go easy on the young lads. If you know anything about the set up with football in Mayo all you have to see is Alan Dillion and Barry Moran are still on the panel. The O Shea brothers are back after 6 months. So the young lads are then told “Sorry Fellows”. Fitzmaurice in Kerry was also like that, bringing back old buddies until he saw Jack O Connor building a new army and he had two choices shape up or ship out. We should have brought in Matthew Ruane into panel last year but that would not happen as he would dislodge some of his club mates. I could go on WJ but you would censor me for calling a spade a spade. Our sell by date is now, and bringing back fellows who don’t train for 6 months is an insult to younger players. What is happening in Mayo football is a joke now. We did not win an All Ireland in 65 years and we wont win one in the next 65 WEEKS. True Grit – I never mind your frank speaking, which on the contrary is always welcome but, as you clearly already know, I’m not into seeing individuals being denigrated here. In that spirit, I’ve excised that gratuitous poke you made in your comment at two of the backroom team. Not sure what planet that statement is coming from True Grit. Having seen the impact Aidan had against both Tyrone and Donegal when he came on, his return was both timely and most welcome. I really don’t see the talent elsewhere that would replace either of the “Buckleys Babes” as you call them, or Donal Vaughan either (if that is who you refer to) from our Under 21 or anywhere else for that matter. Under 21s that shine in under 21’s competitions are just that – throw them into a Senior Intercounty setup and how they measure up will be entirely different. Replacement on the Panel should only be to improve the pool of talent available, not diminish it. True Grit.. If the ‘Shoo man’ is who I think you are referring to, he certainly has on occasion been dropped from the starting 15 for Mayo… He was our MotM in the drawn All Ireland final… Allot of serious competition particularly in the half back line of Mayo has seen him dropped to the subs bench on occasions…rather than poor form by the player in question.. He’s also one of most versatile player’s we have, and definitely one of the best engines in the game.. Now you cannot be serious and believe that he is not in the best 26 player’s in Mayo even on his worst day ever… This year in the league, Stephen Rochford and Co have been more proactive on the sidelines than last year.. I agree with you that the inclusion of Matthew Ruane into the Mayo panel might mean the exclusion of one of his team mates, and Mathew coming into the panel is something that I would welcome, but Matthew too would have to impress to keep the position.. Football player’s are not always the same every match they play, I am delighted with current form of Danny Kirby, I wish him well and hope that he progresses even further, but it should be remembered that Danny was not even making the Castlebar Mitchles first 15,. last Autumn.. What stays the same, is the reputation of certain players have in the mind’s of the public, some have a good reputation with a certain group of fan’s and other ,well not so much. Our management and selectors are there to be impressed or otherwise and all management’s have their particular rational. But the player themselves never stays the same,.Ability is a great help to making it. Confidence, fitness, the opposition and the competition within the squad are the variables that should decide who gets picked. So because someone is not particularly impressing us Mayo fans right now, dosent mean they won’t impress us later on in the year. Stephen coen Diurmuid Oconnor Conor Loftus Eoin Odonaghue Fergal Boland Shane Nally and Danny Kirby Paddy Durcan Brendan Harrisson returning Ger Caff are all new players that were not involved in 2013 all Ireland they will all probably be in the match day panel this year…..Thats not a bad return of new blood frehening things up and improving us….I actually think the like of A Dillion and B Moran could struggle to make it this year given the ammount of league action they missed out on…. I’m obviously a bit on the dopey side today so missed those slurs, True Grit, on a few of the players, which others have since picked up on (thanks all) and which I’ve also now cut from your comment. There really is no need to be taking pops like that at our players. Because, you know, at the end of the day that’s what they are – our players. Freespoon…, interesting decisions about Barry Maran &Alan Dillon to be make. Both with very little football or training done. For me Barry should be in the panel, he is still Mayos best fielder of the ball and with the mark now in he is a very useful player to be able to bring on especially at the end of games where possession is vital. Alan Dillon on the other hand may find it difficult to make the panel, that is if he is actually making himself available. He has been a bit part player for the past few seasons and wouldnt be much more than that this year. Would the team be better served giving a place to an up and coming player? Tough decision to be made there. Matthew Ruane, on top of still being u21, has been recovering from an injury for a number of months, and his appearance v Galway was his first for club and county in a while. I really like Mathew Ruane was man of the match against Cork in final …If he was injured as Mayomark says that would explain how we lost out to Galways midfield in Tuam the other week….Still plenty of time for him to make it this year or next though…. You need to give these young lads time. They just can’t all slot in seamlessly. Do we still have a development panel does anybody know? The Academy is not operating or a development panel. What they should do is operare the junior team along those lines. We need a qualified experienced modern management team for the juniors. There is too much talent around at U23 to see it wasted.